A judge has declared a mistrial in the case against a man accused of hitting and killing Colorado State Trooper Cody Donahue. KUSA — A Douglas County judge has declared a mistrial in the case against the man accused of hitting and killing a Colorado State trooper along Interstate 25 in November 2016. The defendant, Noe Gamez-Ruiz, has pleaded not guilty to criminally-negligent homicide and two traffic offenses: one for careless driving and another for careless driving resulting in death. 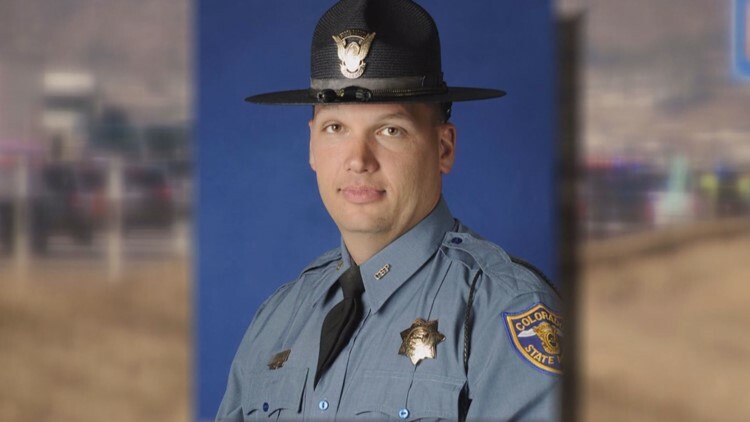 Trooper Cody Donahue, an 11-year CSP veteran, was out of his patrol car investigating another crash on I-25 south of Castle Rock the day after Thanksgiving 2016 when he was hit and instantly killed by a truck. According to court documents, Gamez-Ruiz was driving the vehicle at the time. Prosecutors said he had room to move his commercial box truck into the other lane, but did not. It is unclear exactly why Douglas County District Court Judge Shay Whitaker declared a mistrial, but it happened after two pieces of evidence came out that the defense says they should have seen. Harvey Steinberg, the lawyer representing Gamez-Ruiz, told 9NEWS the district attorney withheld evidence that was supposed to be turned over in discovery. Steinberg says while the forensic pathologist was on the stand, she said something he hadn't read in her written report, so he called her back for questioning on Thursday. “We smelled a rat and flushed it out because the judge allowed us to recall her and today outside the presence of the jury she says, oh yeah I told that to the DA’s on Monday," Steinberg said. According to him, the pathologist said it was her opinion that Cody Donahue died when a lock sticking out the side of the truck hit his head. "It was critical in terms of preparation and also cross examination of her," Steinberg said. The other piece of evidence he wished he saw was an email an eyewitness sent to the prosecution saying he was working toward getting his commercial driver's license. “It would have gone to the credibility of the witness," Steinberg said about the eyewitness email. It was after these two pieces of information came to light that the judge declared a mistrial. While District Attorney George Brauchler was not in the courtroom at the time, he said over the phone his team did not intentionally withhold evidence. "Absolutely not. We're not built that way. That's not how we do business," he said. "We're in the justice business, not in the win at all cost business. And frankly the information that was revealed, I don't think anybody who ultimately scrutinizes that is going to find that it was exculpatory. I think they're going to find it was the opposite." There will be a hearing on October 26 to determine if the DA's office should face any punishment. A new trial is scheduled for Feb. 12, 2019. Nearly seven months after Donahue was killed, legislation in his honor dubbed the “Move Over for Cody Act” was signed by Gov. John Hickenlooper. The law strengthens the penalties against drivers who do not move over for first responders, maintenance and tow operators who are working on the road.